Yes. Let me tell you why. I recommend this process start even before a property is placed on the market. The benefit is a Buyer will require less time to satisfy its’ due diligence conditions. The odds are better of obtaining an environmental report that works favorably towards the successful completion of the sale. The process of confirming a commercial real estate site is free of contaminants can be one of the most onerous tasks within a Purchaser’s due diligence condition list. If the Seller is engaging the Engineer for this report he has the opportunity to choose a firm that has a solid reputation for providing accurate reports. Where a Phase I report recommends further action is required, it can result in several thousand dollars in cost as well as up to three months in additional time. What is the difference between a Phase I and Phase II? A Phase I Environmental Site Assessment is a report prepared to identify any potential or existing site contamination. This is considered the first step in the process of environmental due diligence. Typically the firm engaged will interview onsite occupants of the subject property, review historical aerial photos and occupancy files of surrounding properties. 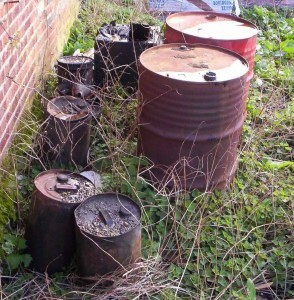 Were or are there any fuel storage facilities or dry cleaning plants within the immediate area? If there were, what is the direction of the subsurface ground flow water? If this report raises any potential concerns, there will be a recommendation for a Phase II. This is a much more detailed investigation which usually requires on-site drilling to provide for chemical analysis of the soil to look for hazardous substances such as petroleum hydrocarbons and noxious chemicals. If this is required, my experience selling Saskatchewan commercial real estate has been that the Phase I is most always paid by the Seller. A Buyer is usually not prepared to invest yet more money in his due diligence without knowing for sure it is a clean site. Saskatchewan Environment Resource Management is the governing body which determines acceptable contaminant levels. Keep in mind that almost all financial institutions require a “clean” environmental report before issuing a firm commitment to finance the property. How does an Offer work?